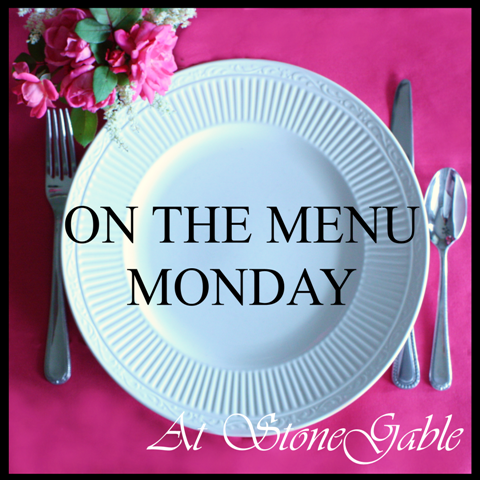 My Outside Voice: On the Menu Monday (MPM) - Week 52 - Last menu of the year! 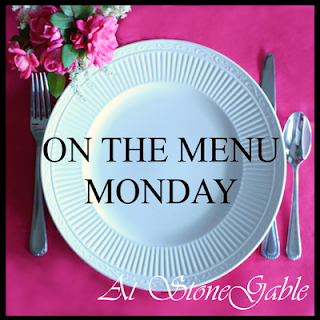 On the Menu Monday (MPM) - Week 52 - Last menu of the year! So, I started this post on Monday, wish I would have gotten it finished. I love the holidays. The decorations, spending time with friends and family, gifts, the food, pretty much all of it. I think I actually go through a funk after the holidays, the let-down. We had an awesome weekend. I started Friday with lunch with a former co-worker I had not seen in over two years, and then I let current client know that I would be transitioning from them onto a new client over the next two weeks. While I am really going to miss my current team, I am excited for a new challenge and not to have to travel anymore! Even if it is just once a month, it can be a pain. Friday we had dinner out, terrible place, we won't be back, but we tried somewhere new. Saturday was so much fun. We went and got my parents new iPhone's and added to my plan as well as added my sister and upgraded her phone. I don't have an iPhone, or an iTouch or anything like that. I do have a 7 year old iPod, but I am just not familiar with all of the lingo, so it has been a bit of a challenge to get my parents up and running, but so far they are both loving it. Sprint had a great deal too where if you transferred lines they got free iPhone 4s and it is only $20 extra per line to add them. We have unlimited data, text and minutes so it only makes sense. Kinda fun to watch them having fun with a new toy too. After, my sister, my niece and my mom and I, went to lunch and then to see Annie at the local community theater. It was a ton of fun and a really good performance. Saturday night, our friend J had a group of us over for a fabulous dinner, it was so much fun and we had a caviar tasting. We tasted three different caviar's all delicious! It was really fun to learn about each one as well. We did this last year as well, so we decided to make it a yearly tradition. Sunday we had our annual holiday get together with my mom's friends and their kids, and kids' kids. Santa came, we did a fun gift exchange, it was a lot of fun. Since I was supposed to post this Monday, and then Tuesday, I will include these days in the re-cap. We have an annual Christmas eve tradition of getting together with my family, having soup and snack and exchanging gifts. Everyone got some really nice gifts and we had a lot of fun. Both my mom and my nephew got tablets, now of course I really want one :). I am still not sure what kind I want though. 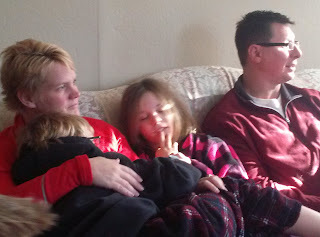 We had some really good soup and awesome sandwiches though, a nice fire and watched Brave while cuddled under blankets. Tuesday we had brunch and did stockings at my parents, then I made meatballs and sauce and we took them over to my sisters for a wonderful Christmas dinner. I love making homemade meatballs and sauce, there was barely a bit left! We had some wonderful garlic bread and a nice big green salad to go with it. This was the first year in a while that the boy and I did the family dinner on Christmas day, the last couple of years we have done dinner on our own, but this year we decided to relax and enjoy dinner at my sisters. We are having lunch with the boys parents on Sunday. Here is what the rest of the week looks like. Plans - A little shopping, a little work, home and some cleaning. Dinner - Friend J is stopping over, I am going to cook up some steaks, purple and gold cauliflower, mushrooms and baked potatoes. Plans - Some more cleaning at home, maybe some cards with the girls or a movie with the boy. 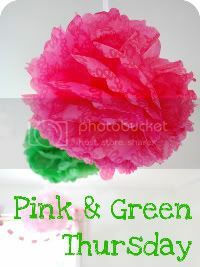 Plans - Hopefully some errands and shopping and then out to friends C & M for a little belated boxing day celebration! Dinner - Lots of good stuff! Plans - Christmas with the boys parents, watching the Vikings vs. Packers game, GO VIKES! For more meal plans and links to other recipes, check out the Orgjunkie or Stone Gable.